There are several tips for the students to make their college life with a productive and memorable experience. College education can take the students into a career that they really care about. For students, most enjoyable time is their college life. 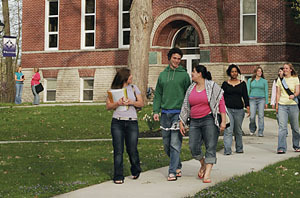 Many students generally do not have a clear reason for being in the college. They simply inherit goals from their family. Students should have a clear reason for studying in these colleges. Without any aim or goal, anyone cannot lead his life. They must believe in themselves that they are capable of doing anything. They should ask themselves various questions and answer them. They may be who are they? Why they are here? If they don’t know how to answer these questions then they have no focal point of their experience. Once they know why they are going to college, they must imagine their ideal outcome. If they can’t get a clear visualization, their experience is likely to be as fuzzy. If there are more stress and pressure for the students, they should make a list of everything they need to do. The list should include homework, class assignments, and even partying. They should schedule those listed tasks according to their time convention. This may be a great way for the students to evaluate their potential of doing todays work. Time management is very much important for the students to get relief from stress and depression. If the students are above average, they can certainly handle an above average schedule. By the law of forced efficiency, if they put more things on their plate, they will surely find a way to get them done with the time they have. Each class the students should attend with clear goals. Sometimes they will achieve their goals. Sometimes they won’t. Even if they do their best, they may still fall short. But they should not give up. They should try some more. By having clear goals will help the students to decide which is which? They don’t need to put an equal amount of effort into each and every class. Put some extra effort when it is important otherwise feel free for the classes with low priority based on the specific goals. A cool technique that the students should use is time boxing. They would decide how much time an assignment take and they would do the best job within the allotted time. Students should set achievable goals but those goals must also be challenging.